Jean Ann Taylor was born in Los Angeles, California on January 6th, 1945 to Donald and Anna Isaacson. They moved to Lamont, Kansas in 1946 where she lived until she was 10 years old before moving to Oregon. She grew up in Gladstone and graduated from Oregon City High School in 1963. During her high school years she met Stephen Bruce Taylor and later married him on December 20th, 1966. They were married for 59 years before Stephen passed away in 2016. After high school Jean attended The University of Oregon and graduated with a Bachelor of Science degree in 1967. Later, she went on to get her Masters of Nursing from The University of Oregon Health Sciences Center and graduated in 1979. Jean worked for 29 years as an instructor at Clackamas Community College. After she retired in 2000, she continued to instruct with Concordia University and volunteered with various immunization clinics. She also took up piano, went to bird watching classes, cross country skiing classes, and hiking classes. In addition, she enjoyed her retirement years by sailing, gardening and family time. She went on several trips after retirement including a cruise on the Amazon River, to Sweden and Norway, a cruise to Mexico, visited Canada and Hawaii as well as going back to Kansas for her 50th high school reunion. 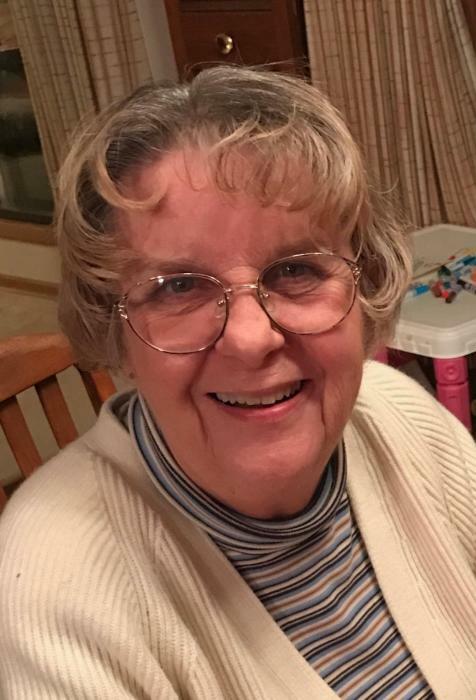 Jean passed away peacefully in her home on March 19th, 2019. She had struggled with dementia for several years prior to her death. Even as the disease took its hold on her, she was loving, caring, and responsive in her own way. She was able to recognize those closest to her and always had a good laugh at funny things. Jean's very best qualities were never dulled by her disease. The last phrase she was able to verbalize was "I love you." Her quality of life never ceased to be exceptional, even as her cognition and physical body failed her, she was able to live in her home because of her loving, caring and incredibly selfless daughter, Mary Taylor. Mary provided the very best of care to her mother each and every day for nearly two years. Jean is survived by her daughters Mary Taylor and Cathi Bell as well as her granddaughters Kayla and Lylah Bell. Her service will be held on April 12th, 2019 at Riverview Abbey at 1 in the afternoon. People are invited back to Jean's home for snacks and dessert following the service. Jean will never be forgotten in so many ways by so many people.